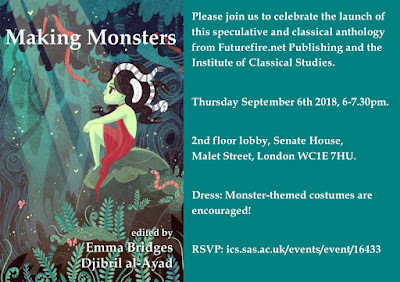 Please join us to celebrate the launch of this speculative and classical anthology from Futurefire.net Publishing and the Institute of Classical Studies (at the University of London). To know more about the anthology, see the press page and table of contents. Thursday September 6th 2018, 6-7.30pm. 2nd floor lobby, Senate House, Malet Street, London WC1E 7HU. 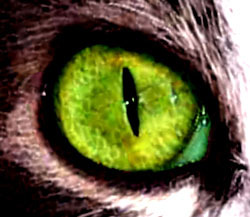 Dress: Monster-themed costumes are encouraged! Micro-interview with Annegret Märten, author of "Ecological Angst and Encounters with Scary Flesh"
Please feel free to join the fun on the #makingmonsters hashtag, follow the carnival on FB, and of course if you can, join us at the launch party on the 6th!